Way before those damn idiots went on TV and divulged their “Extreme Couponing” secrets, inadvertently leading to retailers and manufacturers changing their coupon policies, and ruining couponing for the rest of us… I was a freaking coupon maniac. I didn’t dive into dumpsters, or buy fifty copies of the newspaper… I was just really good at clipping, organizing, and watching for sales. At one time, you could ask me the price of a given product and I could spit it out (usually within a few cents) instantly. I would get a rush from scoring deals. My heart would race as my totals plummeted to levels that surprised everyone around me. My husband would be LIVID with the amount of loot I had scored, arguing “just because it’s free, doesn’t mean we need it.” I beg to differ, Sir. About two years ago, we switched to a grocery list that consisted of primarily fresh foods. Problem? Those coupons are few and far in between. I kicked my couponing addiction (not to worry… I still have a healthy stockpile of cleaning supplies, toiletries, and air fresheners) and moved on with my life. As we entered the world of baby consumerism, I began to do the math. (Calculators are my gateway drug.) I… no, wait… WE realized that couponing was going to become a necessary part of our lives again. I have put a healthy limit on myself… limiting my addiction to baby deals ONLY. I posted a few pictures of my sweet scores online… and the questions started pouring in. HOW THE HELL DID YOU DO THAT? SHARE YOUR WISDOM! While I wouldn’t personally call it wisdom, I will take the compliment and share with you my ways. The photo attached to this post shows my most recent score. I walked away with $93.87 in merchandise for only $19.46. For those of you without a calculator, that’s a savings of $74.41, or 79%. BAM!!! Here is a breakdown of how it was done. 1. I hit two stores. Walmart and Target. 4. I used $60.95 in formula checks. THIS ONE IS HUGE!!! When you find out you are expecting, get EVERYONE in your family (heck, even get your friends to do it) to sign up with the formula companies. You can join their different “I’m having a baby” campaigns. They will start sending you FREE formula and checks to use toward your purchases. Some companies (like Similac) have other products… and they will send you coupons for those. Some stores will only let you use one check per purchase… so buy the cheapest version of their formula (like those Similac cans… $5.18… and I used a $5.00 formula check) and purchase them all separately. I suggest registering for these programs, even if you aren’t planning on using formula. You never know what kind of situation you might end up in. 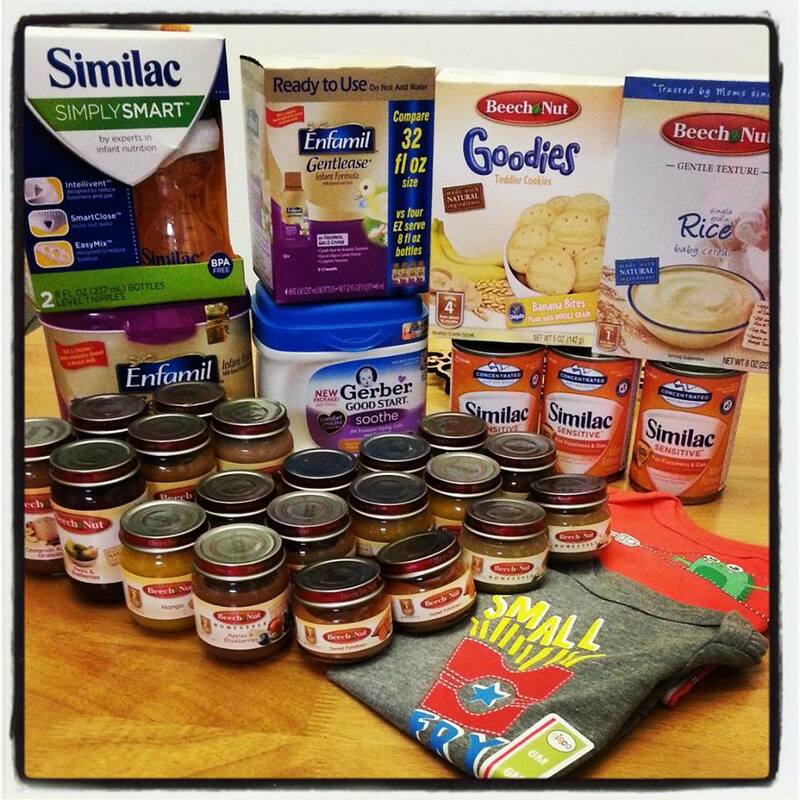 (I didn’t plan to formula feed… and I am beyond thrilled that I stocked up.) In the end, if you don’t use it… you can always donate it. I like to swap checks with other moms, too. (Enfamil for Similac, etc) This shiznit is expensive… we gotta help these mommas out! 5. Shop the clearance racks… from clothes, to bottles, to infant carriers, and higher priced items… you can get them all here! Just be on the look out! And THAT ladies and gentlemen… is how it’s done.